Grew up in BC Beroia (1993-95) youth teams. Played for Philippos Beroia juniors the 1995-96 season. Moved to Iceland for the 1997-98 season signed by Grindavik. Made his debut with AC Near East during the 1998-99 season. Signed for the 1999-00 season by BC Peristeri. Signed for the 2002-03 season by Panathinaikos Athens. 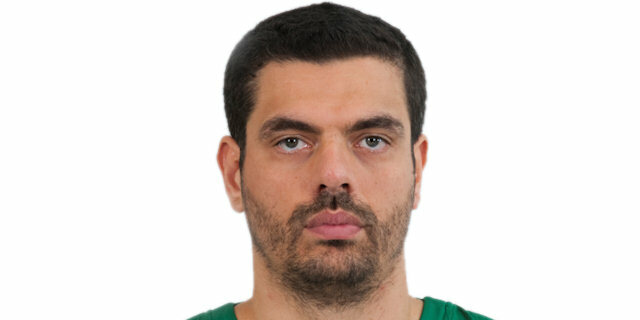 Won the 2007, 2009 and 2011 Euroleague with Panathinaikos Athens. Won the 2002-03, 2003-04, 2004-05, 2005-06, 2006-07, 2007-08, 2008-09, 2009-10, 2010-11 and 2012-13 Greek National Championship with Panathinaikos Athens. Won the 2003, 2005, 2006, 2007, 2008, 2009, 2012 and 2013 Greek National Cup with Panathinaikos Athens. Named the 2006, 2007 and 2008 Greek Cup Final MVP. Played the 2001, 2002, 2004, 2005, 2006, 2007 and 2008 Greek All Star Game. Has been member of the Greek U-18 and U-22 National Team.